After wiping out much of Earth a few times already, Roland Emmerich is back to do it again with more state-of-the-art special effects. The plotline is just a device to put people in the way of nature, and revolves around an estranged father and his family, assorted government figures and scientists, in a race against time to get to safety as the world goes to pieces around them. 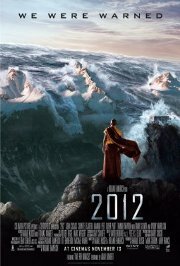 Comments Catastrophe movie, strong tension and (natural) menace.